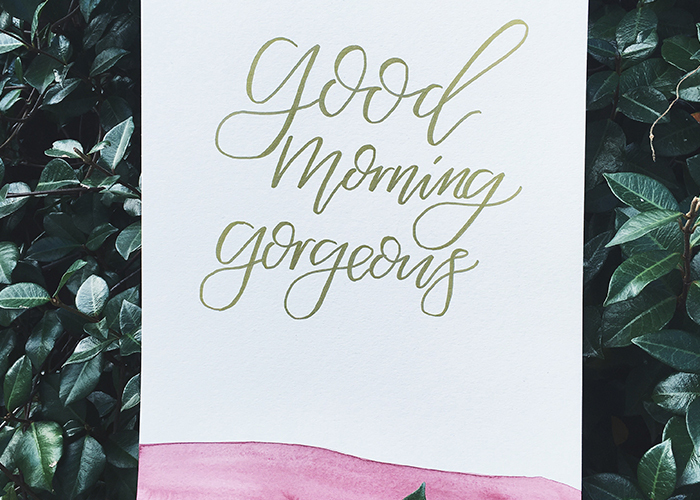 Good Morning Gorgeous! Every lady deserves to have a one of a kind print like this in her home. Looking for it's counterpart? Stay tuned for our upcoming "Hello Handsome" print as well. They make a great pair. This is a handcrafted piece of artwork meaning there may be some imperfections, smudges or pencil marks. This just proves that it is an original and no two pieces are alike. It is one of a kind, just like you!